A challenging curriculum, dedicated faculty, small classes and individual attention provide cadets an intense individualized learning experience. Want to go to a college that not only opens academic doors for your next steps, but also builds strength and friendships that will never fail? The college curriculum combines six core competencies with five academic programs and concentrations to provide a foundation of understanding, knowledge, and skills. The core competencies broaden each student’s perspective and connection to academic work and careers for the 21st century. These social, historical, and scientific contexts develop and prepare students to transfer to competitive four year programs at local, regional, national, and international institutions. The Associate of Arts in Liberal Arts program includes courses that span the disciplines of Humanities, History, and Political Science, preparing students to continue their academic and career interests in a wide range of fields that include law, medicine, education, international relations, human services, literature and cultures, diplomacy and administration. Students develop analytical training, communicative skills, and a sound disciplinary foundation, which will allow them to evaluate issues and formulate collaborative and practical solutions to the complex and challenging problems of interaction in an increasingly global society. The Associate of Arts in Justice and Security Studies program provides students with a comprehensive background in local, state, national, and international security considerations. 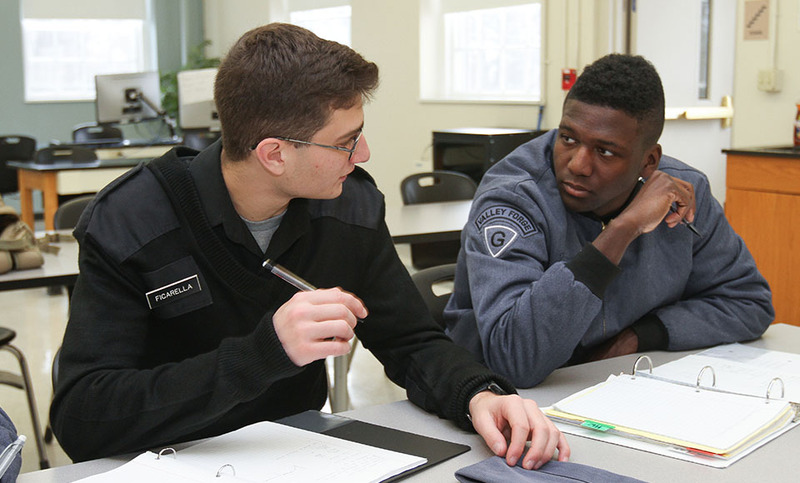 With an emphasis on both theoretical perspectives and practical concerns, the Justice and Security Studies program develops an interdisciplinary understanding of the fundamentals of security whether in law enforcement, information security, or national and global security. The Associate of Science in Health and Biological Sciences program provides students with the opportunity to take courses leading to a variety of health sciences majors and career fields. This program prepares students to continue their academic and career interests in specialized fields including Biology, Medicine, Pharmacy, Veterinary Medicine, Nursing, Exercise Science, Kinesiology, Physical Therapy and Occupational Therapy. The Associate of Science in Physical Sciences and Pre-Engineering program provides students with a solid foundation in the scientific method and knowledge of the principles that govern the workings of the physical world. This program will include foundational coursework in Calculus, Chemistry, and Physics and is ideal for those interested in Bio-Physics, research in Physics, Geophysics, Industrial Tech, or Engineering. The Associate of Business Administration exposes the student to the theories and principles underlying various business disciplines such that the student may better assess their interests and aptitude for this particular area of study. The theory is further enhanced using applications to real life and business experience in the business arena and current events. The program is ideal for students interested in Accounting, Economics, Business Administration, International Business, Finance or Marketing. The Valley Forge Military College Cybersecurity Certificate, recognized by the NSA and DHS as a Center for Academic Excellence in Cyber Defense for two year colleges (CAE2Y), prepares cadets and students for a high-demand career in information security. We provides our students career guidance and employment counseling upon completion of the Certificate program. Our Certificate provides expertise in the rapidly changing Cybersecurity landscape by leveraging the National Initiative for Cybersecurity Education (NICE) through a series of four courses. These courses can be taken within any of our two-year programs, or as a standalone Certificate. If pursuing the Certificate only, students can complete the sequence of courses within one year. Click here to learn more about the Cybersecurity Certificate Program.